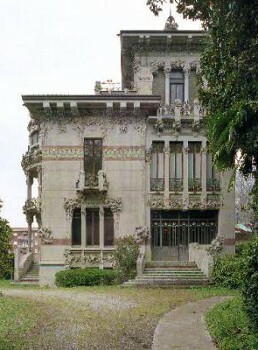 Villa Bernasconi is one of the most precious examples of art nouveau in Italy. 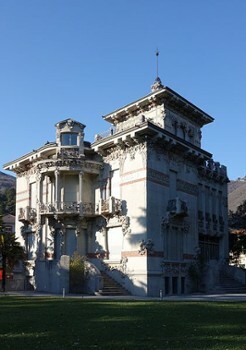 It is owned by the town of Cernobbio and is now a cultural center hosting exhibitions and events. 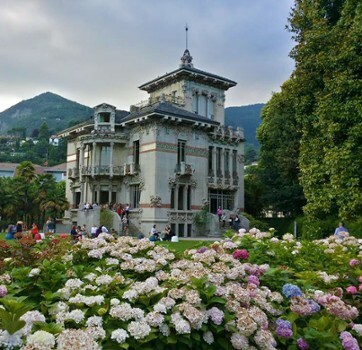 It was built before 1905 in Cernobbio, not directly on the lake but not far from the textile factory of the customer Davide Bernasconi. 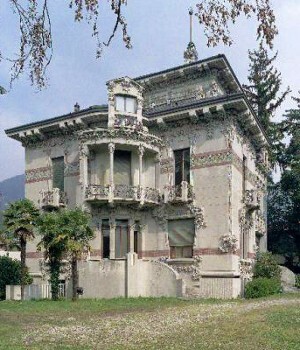 The decoration of the villa is inspired by the textile industry with forms of butterflies and silk worms. A recent resolution passed unanimously will make the villa also available for wedding functions which should make it a popular setting for newlyweds. We are the first one ever cycling touring specialist on Lake Como area. Since 2007 we’ve been hiring high end racing bikes to cycling enthusiasts and offer guided and sel-guided cycling tours around lake Como. Pietro is your tour guide supported by a competent staff that speak fluent English, German and French language as well (a part obviously Italian!). They will arrange all logistic details and accommodation. We have been living in this area over 30 years and therefore we know all characteristics of our Lake area and most scenic places to visit. 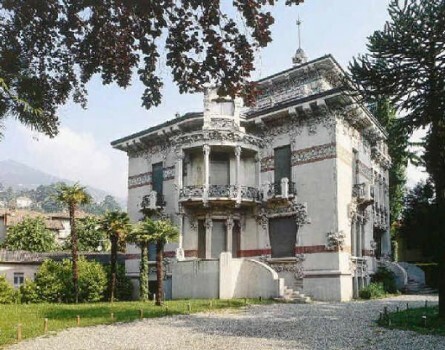 Experience Downton Abbey Italian style or drop in on George Clooney! 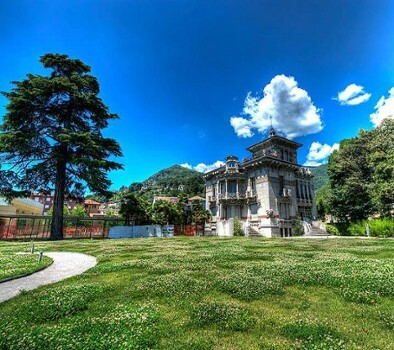 Nearby Things to Do include: Monuments such as Volta Lighthouse and Como War Memorial; Water Activities such as Lido di Cernobbio and Lido Villa Olmo; Villas such as Villa Erba and Villa Allamel; Towns such as Blevio and Brunate; Churches such as Santissimo Redentore and San Vincenzo; Parks & Gardens such as Garden in the Valley and Villa Pizzo Gardens.